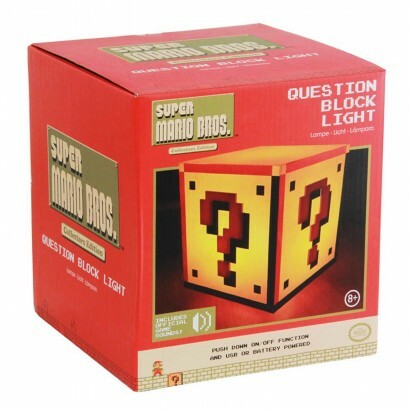 Anyone that's ever passed the time in the company of Super Mario will be familiar with the iconic question block light that delivers a bonus to Mario, and this collectors edition question block delivers light to you! 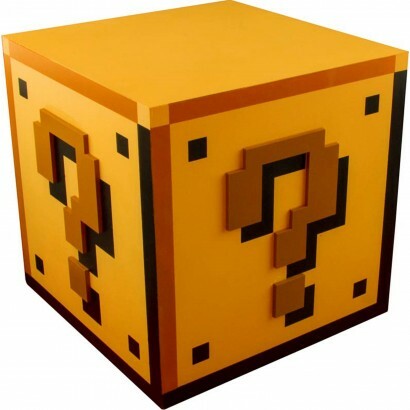 Shaped like a cube with questions marks on the sides and lit by white LEDs, simply press on the top of the lamp to switch on/off and to hear official game sounds. 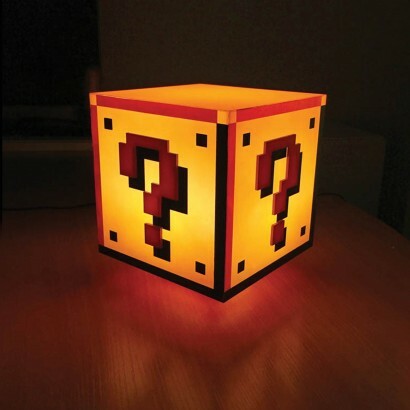 Battery operated, this iconic gamer lamp can be placed anywhere in your home, or can be used with a micro USB lead (included) to add atmospheric light to your space.